The world lost a legendary leader as former FLOTUS Nancy Reagan passed away at age 94. She died at her home in Los Angeles, Calif., of congestive heart failure, according to Joanne Drake, spokesperson for the Ronald Reagan Presidential Library. In addition to her role as First Lady, Nancy Reagan was an actress, a fashion icon, an amazing wife and mother, and passionate champion of several causes dear to her heart. But among her many accomplishments, Nancy Reagan's "Just Say No" speech will go down in history as one of her most defining moments. While the country mourns the loss of our beloved former First Lady, we should remember the ways in which she made our nation better. Most notably was her "Just Say No" campaign, an effort to prevent drug abuse among young adults. The campaign was born when Reagan was asked by a group of children in Oakland, Calif. what they should do when offered drugs. Her response was simple, "Just say no." After that, the same group of children formed a "Just Say No" club, which began to spread around the country, as over 10,000 similar clubs were formed. 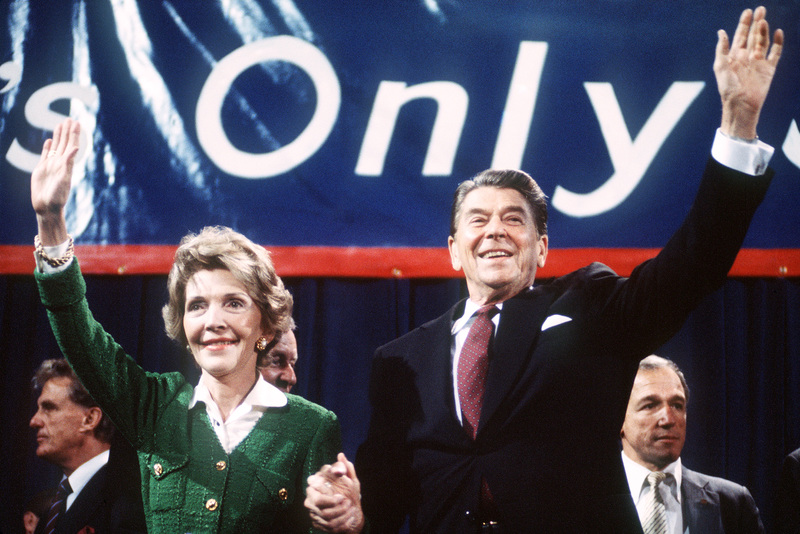 Reagan recounted this inspirational moment, as well as a powerful story of a young mother overcoming her drug addiction, in her nationally broadcast message to Americans on Sept. 14, 1986, as part of the initial launch of the "Just Say No" campaign. Nancy Reagan will be buried next to her husband, former President Ronald Reagan, on the grounds of the Ronald Reagan Presidential Library in Simi Valley, California. Her legacy will continue, and her incredible work will never be forgotten. RIP, Nancy Reagan.